Ford Performance fans may have to think again about dismissing the turbocharged EcoBoost Mustang, as a new High Performance Package variant has just been announced. 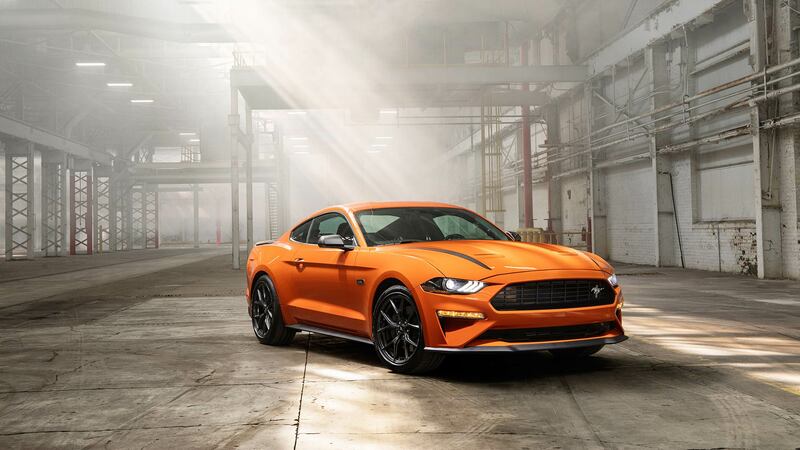 Although peak power is still less than the V8 GT versions, the improved 2.3-litre engine has created what Ford calls “the most powerful four-cylinder sports car” offered by an American manufacturer. Ford hopes that the High Performance Package will entice track day fans, autocross competitors, and driving enthusiasts to consider the non-V8 option as the car to suit their needs. 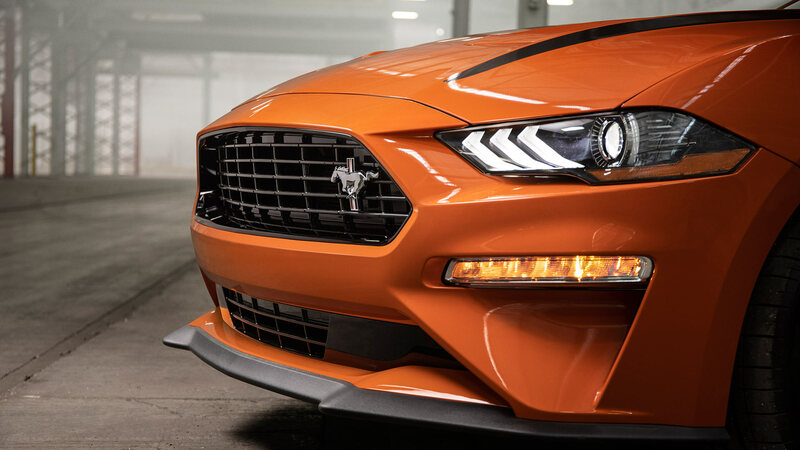 Powering the High Performance Package Mustang is an custom-created version of the EcoBoost engine previously used by the outgoing Ford Focus RS. Engineers travelled to Ford’s Valencia factory, convincing production managers to build a special 2.3-litre four-cylinder unit, tailored to the Mustang. The result is a power output of 330hp (246kW) combined with 350lb-ft (474Nm) of torque. That may only be an extra shot of 20hp, but Ford has tuned the engine to deliver power all the way to the redline, along with a greater spread of torque. 0-60mph (0-100km/h) takes around 4.5 seconds, with top speed increased to 155mph (249km/h). A new exhaust system with quad-tailpipes has been tuned to deliver a better sound. High Performance Package cars also get a new black front splitter, blacked-out front grille, extra cooling vents, and a new rear spoiler. Larger brakes from the V8-powered Mustang GT have been added, along with beefier anti-roll bars, and even a strut brace for the front suspension. A limited-slip differential is also standard, along with a set of 19-inch alloy wheels. An optional EcoBoost Handling Pack can also be had, bringing stickier Pirelli tyres and uprated suspension dampers to the party. Grey side mirrors, grey body stripes, and special High Performance Package badging will let everyone know which Mustang you have bought. A numbered plaque for the dashboard serves as a reminder inside, too. 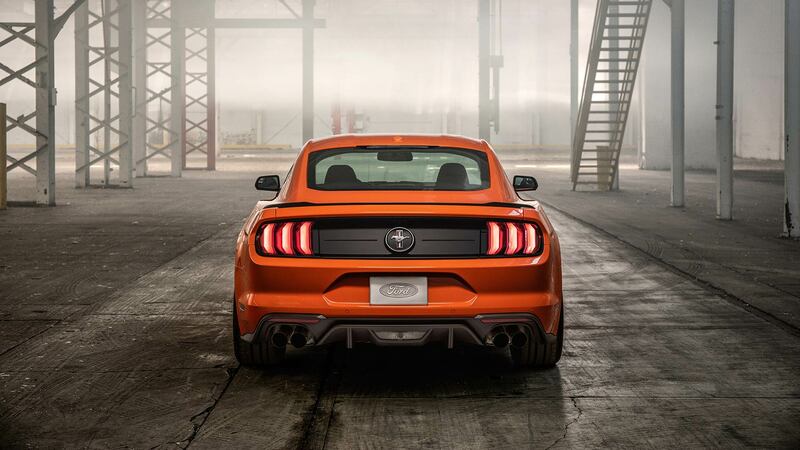 For a global giant like Ford, the creation of the High Performance Package Mustang is special in that it relied upon the personal efforts of a small band of Ford Performance engineers. 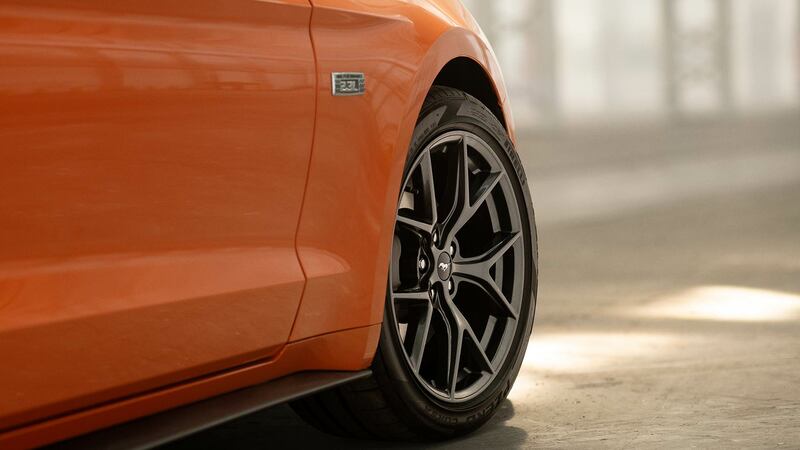 Initially conceived as an experiment in slotting a Focus RS EcoBoost engine into a Mustang, the results were seemingly impressive enough for Ford to green-light full production. In fact, the whole process from initial design to approval took just ten months. This was made easier by to the shortened product development times undertaken by Ford, speeding up the project from skunkworks idea to road-going reality. 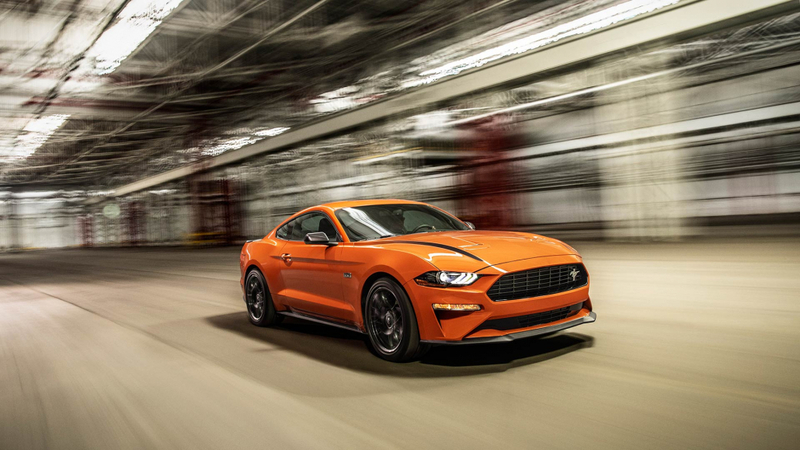 Available on both the EcoBoost Mustang in fastback and convertible body shapes, American buyers will be able to grab the 2.3-litre High Performance Package later in 2019. They will also get to pick between the six-speed manual gearbox, or the ten-speed automatic unit. Ford has not confirmed prices for the High Performance Package, or whether it will be offered to customers outside the United States. However, with the Mustang celebrating it’s 55th anniversary in 2019, it would seem rather unfair to deny others the chance to join in the festivities.